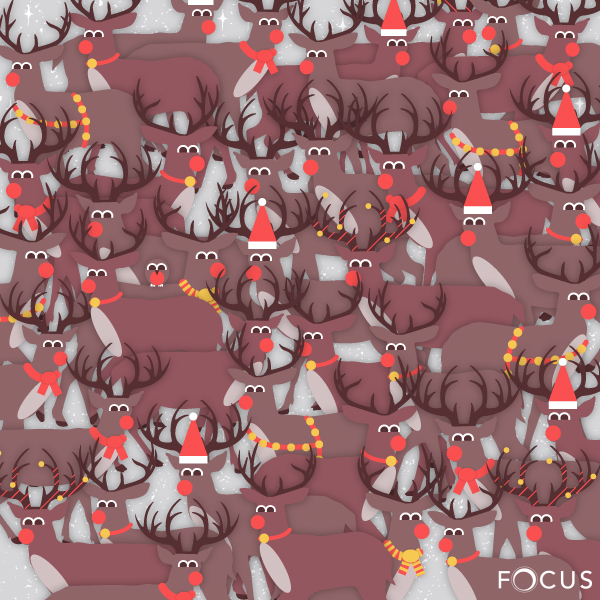 Can You Spot This Cheeky Robin Perched In A Herd Of Reindeer? Try your luck at this festive brain teaser! How good are your eyes? This Christmassy brain teaser by Focus Clinics has been boggling minds across the land. The similar colours of the robin and the reindeer make him super difficult to spot in the picture. It's like Where's Wally all over again! Are you still scratching your head? There's the little guy, isn't it just so obvious once you know the answer!